Here are the books that Fireflies Aglow released between 2012 - 2018. After encountering SuperLove, each character discovers their true identity and starts overcoming evil with good. For ages 8-12 years. We met an author at the Ankeny Book Fair in 2018, and here's what he wrote. Who would have thought it…..turning the creative energy of children loose in the basement of Angela Meijer’s Ankeny home resulted in five newly minted young authors, published books in hand, showing up for the Kirkendall Library’s annual Ankeny Authors Fair Saturday April 14 at Otter Creek Golf Clubhouse. Guidance for the group, along with handling of business matters, editing assistance, publicity, and overall web-site work, is in hands of the group’s Moms, Beth Olson, and Angela Meijer. “Angela’s basement is more than a hide-out for kids, it’s a great spot turning their creativity loose,” said Olson. 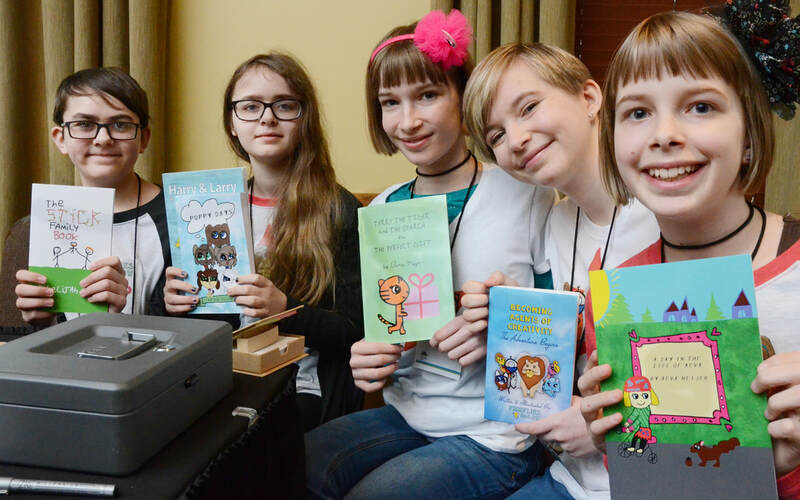 The rest, creating story lines, art-work, and book assembly is in the hands of their five children, Elijah Olson, 14, Zoe Olson, 12, Elina Meijer, 11, Emma Meijer, 14, and Aeva Meijer, 11. 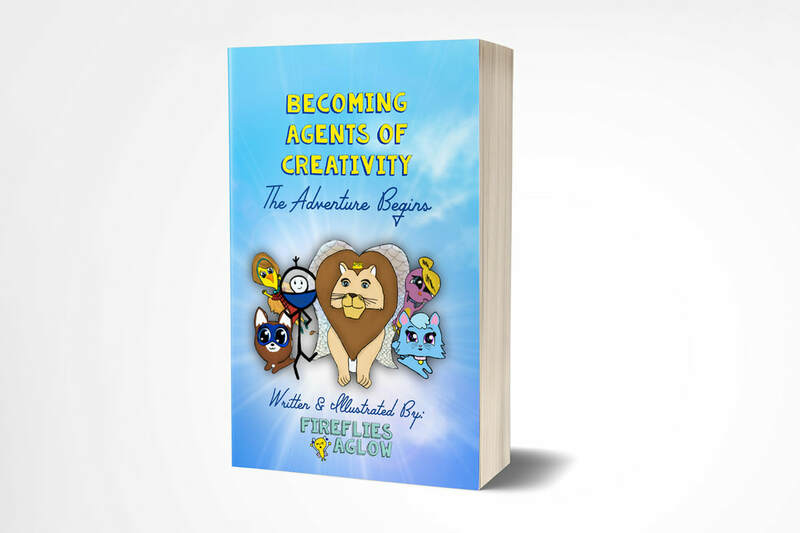 The entire group then collaborated on a book titled “Becoming Agents of Creativity” with Emma Meijer doing the book’s artwork and design. 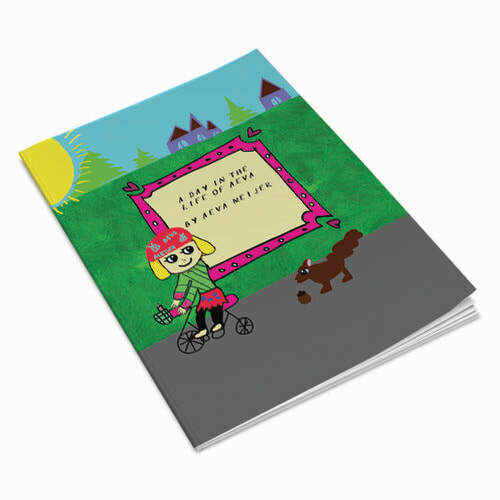 It is aimed at focusing kids’ talents on writing and graphic arts. Emma is interested in pursuing graphic arts and design upon reaching college age. Elijah Olson created ‘The Stick Family Book,’ with his own art work telling the story. Aeva Meijer, 11, recently added ‘A Day in the Life of Aeva” to the growing list in December, 2017. Adult authors attending the book fair were amused to see the cluster of activity around the collective’s display table. Sales were as brisk as the exchange of ideas. The group reports good response though its own website.